Almond flour is one of my very favorite grain-free flours to work with, for many reasons. 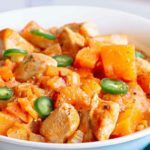 It has a fantastic flavor that’s slightly sweet but also fairly neutral, which means it works well for both sweet and savory recipes. 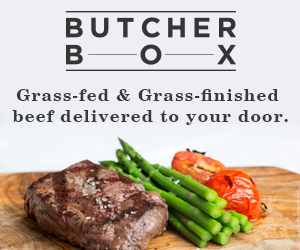 It’s high in protein, making it nutritionally rich. It holds moisture well, but doesn’t add or subtract it dramatically, so it’s easy to work with. 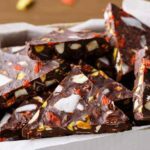 Best of all, it holds together fairly will with the right ingredients, so I love it in cakes and cookies. 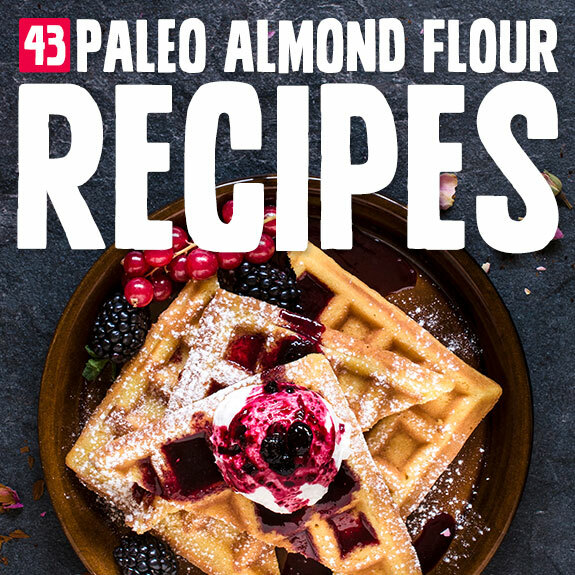 Check out some of these paleo almond flour recipes—mostly sweet, but a few savory—and open up that brand-new bag of flour to get baking! This bread is an awesome breakfast treat. With just bananas as the sweetener, you don’t have to feel quite so guilty about eating double chocolate bread for breakfast. Coconut and almond flours make this bread happen with vanilla, dark chocolate, and cocoa powder. Yum. 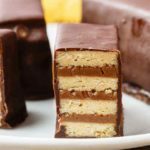 Almond flour makes some of the best cakes if you ask me, and this recipe IS one of those best cakes. 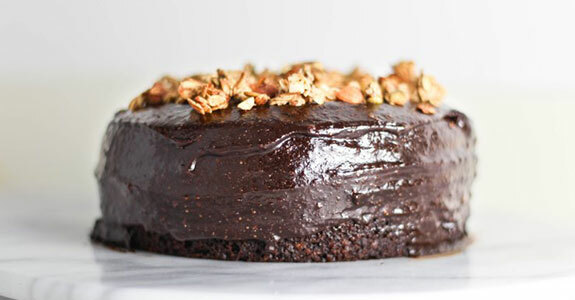 With ripe bananas, maple syrup or honey, whole almonds made into flour, cacao powder, and a fabulous almond butter chocolate ganache, this is the cake you’re going to want for your birthday. These amazing muffins have only four ingredients. Can you believe that? All you’ll need is Blue Diamond Salted Caramel Almonds (or plain almonds, if you can’t find them, but the flavor won’t be quite the same), baking powder, eggs, and chocolate chips. Easy! Studded with fresh, beautiful raspberries and blueberries, these berry bars are sort of like a blondie with a soft and melt-in-your-mouth chocolate layer on top made from coconut milk. The base is almond and coconut flours with maple syrup and coconut sugar. These muffins are made with almond flour, cinnamon, honey, melted butter or coconut oil, fresh cranberries, winter pears, and a few other fabulous ingredients. The combination of richly sweet pears and tart cranberries is a perfect balance, and these muffins are a perfect breakfast! 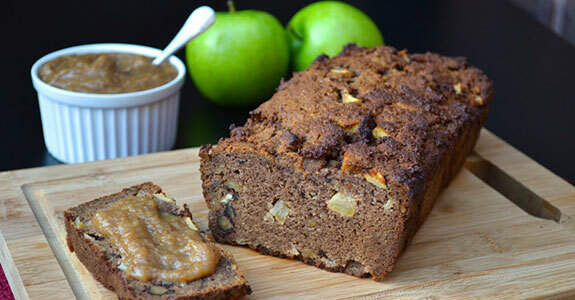 Spiced with cinnamon, nutmeg, ground cloves, and ginger, this hone-sweetened loaf is perfect for breakfast, snacks, or dessert, especially in the fall or winter when apples are in season. This loaf is modestly sweetened and made with a base of almond flour. Missing cinnamon rolls, but need them egg-free? These easy rolls are made with banana, maple syrup, chia seeds (white is called for, but black will work—it just won’t be as pretty), tigernut flour, almond flour, tapioca starch, cinnamon, and a maple frosting. The holidays wouldn’t be complete without gingerbread cookies, and this almond flour version is delicious and perfect for rolling and cutting out into whatever shapes you like. 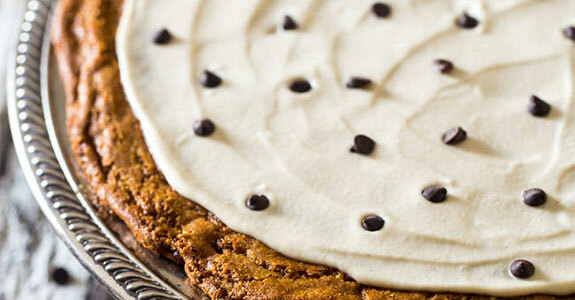 Blackstrap molasses helps these get their signature gingerbread flavor. These muffins are rich, moist, and delicious with pumpkin puree, honey, melted butter, almond flour, shelled pepitas, and chocolate chips—a pumpkin muffin is never complete without chocolate chips. These are beloved by kids and adults alike! Nut flour cakes made with almond flour can be really dense and fudgy—sometimes that’s exactly what you want! Other times, you’re looking for something a little fluffier. 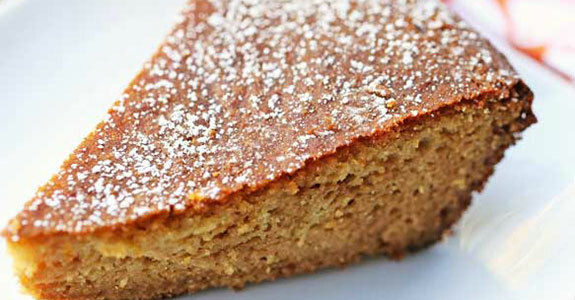 Well, almond flour can do that too, like in this honey vanilla cake with only a few ingredients. With just a handful of ingredients, this biscotti is bound to hit the spot. And it won’t even take you that long to make! You’ll need almond flour, maple syrup, tapioca flour, baking soda, and sea salt. If you’re feeling spunky, add a handful or to of chocolate chunks. Made with almond flour and flavored with additional almond extract, this almond-bursting muffin has it all: honey, coconut milk, orange juice, orange extract, and fresh cranberries with a crumb topping. For the topping, you can use coconut sugar instead of cane sugar. Shifting gears for a minute away from baked goods—I have to share this ravioli recipe with you. Made with almond and cassava flours, the pasta is perfectly tender and filled with seasoned acorn squash and a delectably healthy kale pesto with garlic and pine nuts. 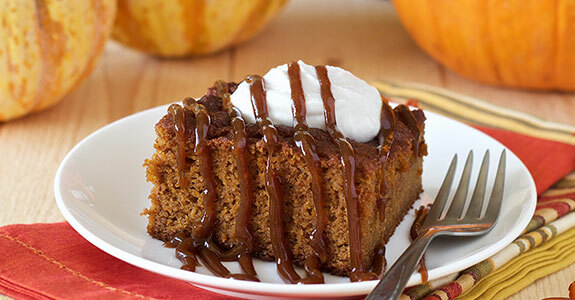 This fabulous cake is perfect for fall with a pumpkin, almond flour, and cassava based sweetened with cinnamon, applesauce, vanilla, and coconut sugar and drizzles with a homemade caramel sauce that’ll have you licking your plate clean just like the kids. 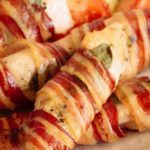 Need a paleo stuffing recipe, but not willing to give up the delicious breadiness of traditional stuffing? Yeah, me neither. 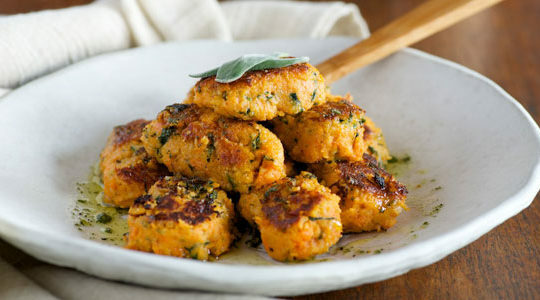 So this recipe is perfect, with Italian sausage, celery, carrots, apple, fresh thyme and rosemary, melted ghee, and almond flour to create nice crumbly pieces. 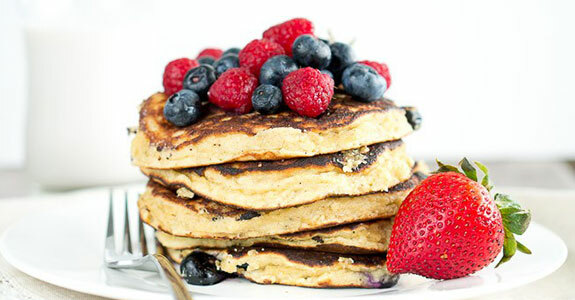 These simple pancakes can be enjoyed by anyone, paleo or not! They have a lovely flavor with banana, vanilla, cinnamon, and nutmeg, and a texture that’s a little fluffy, a little chewy, and definitely nut gross and crumbly like some grain-free pancake recipes can be. Everyone loves apple cinnamon, and especially when it’s in muffin form. These muffins are made with almond and tapioca flours, cinnamon, eggs, coconut milk, coconut oil, honey, vanilla, and shredded apple. With just a small amount of honey, you can feel good eating them for breakfast. 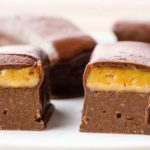 This melt in your mouth delicious fudge is made with almond meal, almond butter, maple syrup, and an optional fourth ingredient (vanilla extract) that I highly recommend including. It comes together in just a few minutes and sets up in the refrigerator. These muffins are carrot-cake style with grated carrots, chopped pecans, coconut nectar, almond and coconut flours, and fabulous seasonings like cinnamon, cardamom, ginger, and cloves. Frost them with homemade frosting and they become cupcakes! Almond flour really does make the best cinnamon rolls. 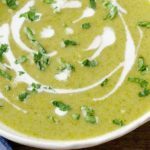 It has a delicious flavor, it holds moisture well, and it’s fairly good at doing “gooey” when necessary. These cinnamon rolls are just that, with a creamy cashew icing sweetened with maple syrup. So yummy. Say it with me: the streusel makes the muffin. At least, that’s definitely the case with these amazing streusel muffins featuring almond flour, cinnamon, apple sauce, date paste, chopped apple, ghee, pecans or walnuts, and even more cinnamon on top. 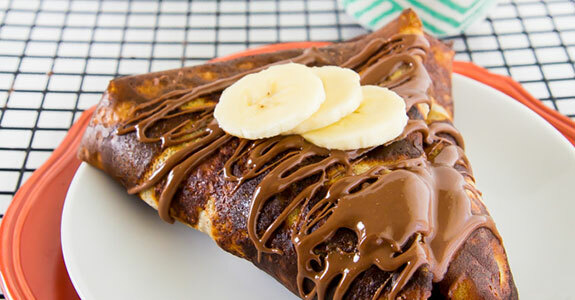 I’m making these for breakfast tomorrow! These pancakes are sweetened with ripe bananas, giving them their amazing flavor along with cinnamon and vanilla. Almond flour makes the perfect base, and when you eat these, be sure to slather them in grass-fed butter, drizzle them with maple syrup, and add plenty of fresh berries on top! These cookies are great, because they have all the flavor of banana bread, but they’re a bit less of an investment than a whole loaf of banana bread—which I always think I can eat, and then I remember I’m not such a bready person anymore. In comes these chocolate chip cookies with banana and almond flour! 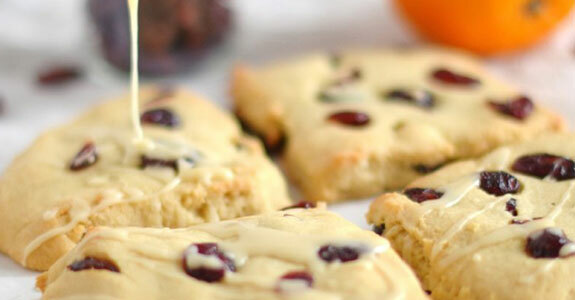 Perfect for brunch guests, these delicious scones are made with almond and coconut flours, maple syrup and maple syrup, vanilla, orange zest, and fresh cherries. The flavor is out of this world good, and can really depend on the quality of the cherries you’re able to find. If I had me some strawberries right now, I would be in the kitchen making this instead of writing about it. This almond flour coffee cake features a delicious strawberry jam filling and the crumb topping with cinnamon and maple syrup. What more do I need to say? As a kid, I remember elementary school classroom birthdays and the delight at realizing someone’s parent had brought a cookie pizza, which was infinitely better than cupcakes or anything else. This one is even better, with almond flour and a creamy cashew vanilla frosting with chocolate chips on top. Caramelized onions are one of my favorite pizza toppings, and in this recipe, they are the star flavor. 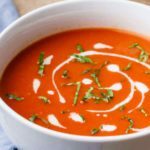 The white sauce is made with paleo mayonnaise, cashew milk, and nutritional yeast, while the crust is made from almond flour and seasoned with garlic powder and Italian seasonings. When it’s a birthday cake, you have to get it right. No experiments—you want it to be perfect. 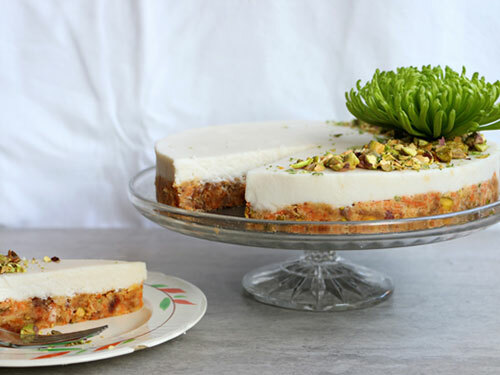 This cake is just that, with a honey-vanilla almond flour base and a silky, fluffy coconut cream frosting sweetened with maple syrup and flavored with vanilla extract. I love thumbprint cookies because I prefer my cookies soft and gooey. So why not just fill them with a gooey raspberry jam? You can use chia jam, if you want. But definitely use almond flour, shredded coconut, flaxseeds, maple, and vanilla to make the base. Yum! I’m seriously drooling over these scones, and cursing myself that we’re out of almond flour right now. But if YOU have almond flour, you can make these with some of that good stuff as well as arrowroot, dried cranberries, orange zest, vanilla, maple syrup, and orange juice. You can make your own powdered coconut sugar to keep the glaze paleo. These pancakes are both moist and fluffy, thanks to the sour cream, which you can replace with coconut yogurt. Lightly sweetened with honey and flavored with vanilla, these chocolate chip pancakes sound like a birthday breakfast to me. This rusting pie is so beautiful, I just want to cry. Okay, maybe not really, but look how pretty it is! You can make it up yourself with a garlic almond meal crust, a creamy cashew herb filling with basil and parsley, and a mixed heirloom tomato topping. This pasta is amazing. If you’ve always wanted to try making fresh pasta but you weren’t sure how, try this recipe using porcini mushroom powder, almond flour, and tapioca flour. 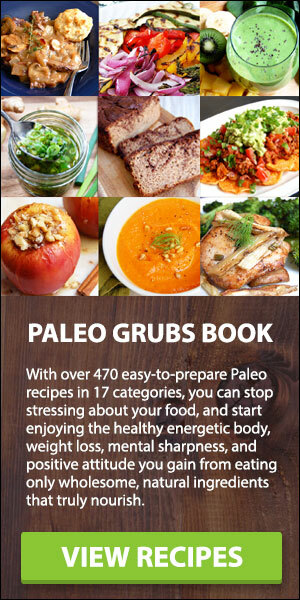 You can replace the xanthan gum with psyllium seed husk. Here’s the thing about crepes: it takes so long to make the whole batch. I stand there at the stove making them while the family basically eats them right out of my pan, and I eat last, alone! Not anymore. I’m making this one just for me. 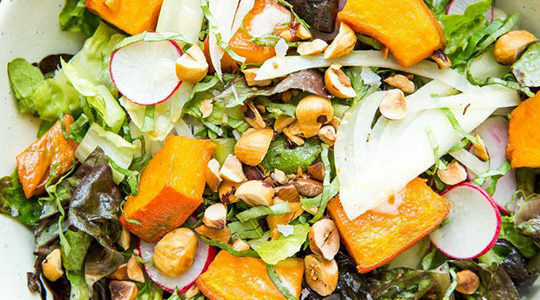 I’ll use almond butter instead of peanut butter on top. 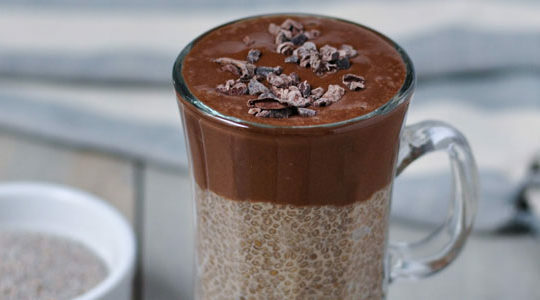 I’m always looking for ways to work more chia seeds into my diet, because they’re so good for you! This recipe uses chia seeds along with almond flour, maple syrup, coconut oil, and lemon zest to make a lovely breakfast scone that’s low in sugar. This is the way to do it, friends. You want a berry crumble that’s easy to make, comes in single servings, uses almond flour, and is sweetened with delicious maple syrup. 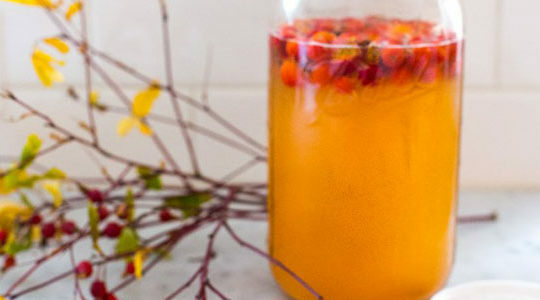 And you can make this one with whatever berries you like. Raspberries are fantastic, though! This easy savory bread is made with almond flour, shredded coconut, eggs, coconut oil, honey, and apple cider vinegar. It makes a great little sandwich, or you can just smear it with grass-fed butter or ghee and eat it all by itself! Yummy. 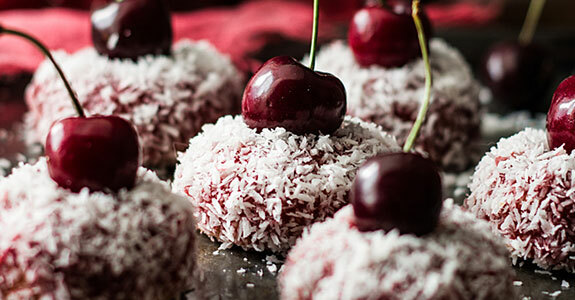 These brilliant little “cakes” are made with sweet potato, almond flour, coconut flour, maple syrup, and a cherry topping with pitted cherries, honey, lemon juice, and shredded coconut. You’re going to want to make these next time you have guests for dessert! Being a pricier nut, and green, pistachios are often overlooking when it comes to baked goods. But these pistachio cookies are super delicious, with almond flour, coconut sugar, ground chia seeds, vanilla, and coconut oil. They happen to be vegan, too! 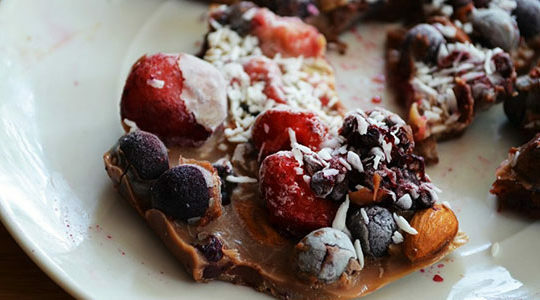 These easy paleo waffles are made with just coconut and almond flours, shredded coconut, honey, eggs, coconut oil, and nut milk (I’d use coconut milk for the richness, but almond works too). Top with butter or ghee, maple syrup, berries, and whatever else you like! 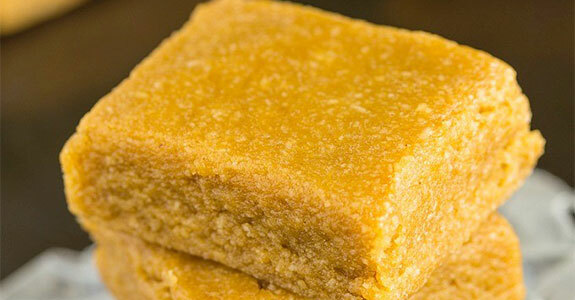 These beautiful little lemon squares are perfect for someone you love, and they’re easy to make. 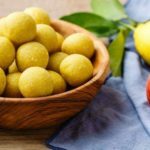 They have a base made from almond flour, honey, vanilla, and butter (or coconut oil or ghee) and a custard made from eggs, avocado oil, lemon, more honey, and more vanilla. 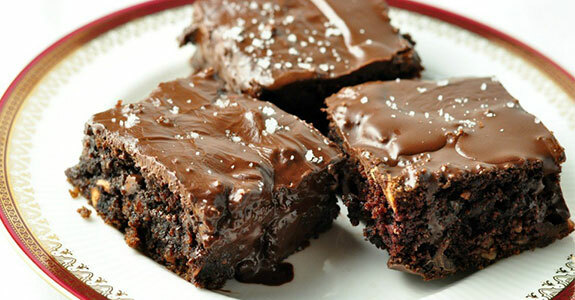 These brownies are fudgy and rich with an almond flour, maple syrup, and cocoa base. 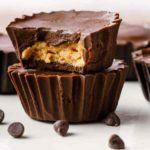 Fill them with finely chopped hazelnuts and a to with a silky chocolate ganache made from chocolate chips, coconut oil, and flaky sea salt sprinkled over the top. Sometimes you just need cookie dough—now. For those times, there are these little cookie dough bites made with almond flour, honey, applesauce, vanilla, mini chocolate chips, and almond or cashew butter (to replace the peanut butter in the recipe). Thanks for including the berry crumble! Best dessert ever, everyone loves it! 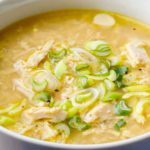 What can I use a substitute for all of the eggs in some of these recipes? Thank you so much for including my Almond Flour Cinnamon Rolls 🙂 Made my day, Jess!